Please call my toll free number, (800) 266-2520 or cell (419) 271-2003, for information regarding charters, price, availability, or use the email link below to request information. Please be specific about what information you need, dates, location, etc. If the trip is forced to cancel because of bad weather, your deposit will be refunded or we can reschedule your charter date at your convenience. If on the rescheduled date another problem, other then bad weather occurs, your deposit will not be refunded. Your deposit is refundable with 21 days advance notice of cancellation. If you cancel less then 21 days and the charter date cannot be rescheduled, all deposits will be forfeited. 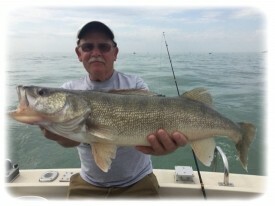 All that is needed to make a reservation is a $100.00 deposit for each fishing day on Lake Erie or Lake Ontario. 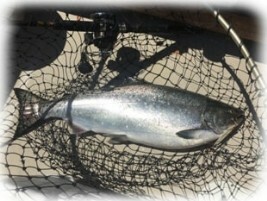 This will confirm your prime fishing date with Badman Charters. If you need lodging it can be reserved at one of Lake Erie's full housekeeping accommodations with a $40.00 deposit for each night lodging, or we'll send you information so you can find your own.